nearmap Insurance provides a detailed risk assessment without having to leave your desk. All the facts you need to cost a policy are only a keystroke away. Our clean, high-resolution images and rich visual analytics provide a desktop-based fast risk assessment solution. Access to fast, reliable information breeds success. You can drive to the site, take photos and make notes, then head back to the office and sort it all out. Or you can open your desktop browser, view, click, select, save and print. Done. nearmap Insurance offers a powerful, browser-based risk-assessment solution that will probably cost you less than you’re currently spending on petrol. And that’s not even counting the savings in time. Catastrophic events are a headache for insurance companies. With widespread media coverage, the whole world is watching, pressing for a rapid insurance pay-out. Don’t worry, nearmap has you covered. We do everything possible to fly immediately after major events, such as bush fires, cyclones and flooding. Our tools provide all you require for a speedy first-response. Detailed, close-up images and visual analytics at your fingertips reduce the need for site inspection, and support reliable financial-impact forecasting. Let your competitors do the leg-work, and take the heat of clients impatient for results. nearmap lets you see what you need to see; know when you need to know it; and do what you have to do. All from your browser. With insurance fraud accounting for up to 10% of all general insurance claims, costs to the Australian insurance industry exceed $2 billion per year. nearmap Insurance enables the remote survey of a location to quickly assess the veracity and scope of damage. Our high resolution imagery and Pixel Timestamp feature deliver precise information about the time of capture, giving you the confidence nearmap imagery can be used as investigative evidence. With hundreds of updates published since 2009, insurers can review a location pre and post incident using the nearmap Timeline and gain a comprehensive understanding of the claim. Conducting assessments via recent aerial imagery will save not only time and money but also reduce the risks related to physical inspections. 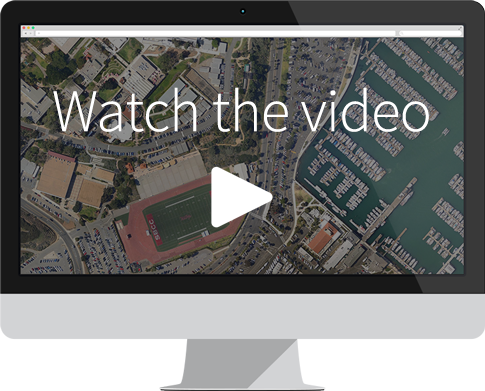 We fly frequently to continuously update our high-resolution aerial imagery. You can be absolutely confident that you’re working with the latest information. Our standard resolution is 7-10cm for metropolitan areas, but we often provide even higher resolutions for major events and natural disasters. Critically, we publishing the results within days of capture. High resolution images can also be downloaded for use in reports and presentations. nearmap has been capturing images since 2009. We have published hundreds of surveys, covering hundreds of thousands of square kilometres, and they are all available via the nearmap MapBrowser Timeline. Use this Timeline to gain immediate insight into how a location has changed over time. Compare before and after images. Check the progress of development and assess repairs. Our comprehensive suite of measurement tools makes remote site-inspection quick, easy, and incredibly rewarding. Choose from line, path, area and radius tools with in-line measurement display. Elevation profile information can also be generated for the paths and lines. All this without setting foot outside the office. Build a complete picture of location with our ever-growing selection of data overlays. For assessment, understand the context of the subject property ranging from zoning information to average income to crime statistics. Map overlays also include cadastral and property boundaries. nearmap is a great underwriting tool that allows us to make more informed decisions due to its ability to view a current and historical image of the property. This reduces our chance of insuring properties that we would consider an unacceptable risk and allows us to apply specific conditions and charge an appropriate premium for risks we decide to insure. The product was invaluable in assisting with projects involving floods in QLD and storm damage in NSW over the last 3 years - especially confirming whether a property has been damaged or not. Love the 'historical' capability of the imagery, as well as the 'recency'. Great work!! nearmap allows us to conduct property surveys and assessments from our desks.